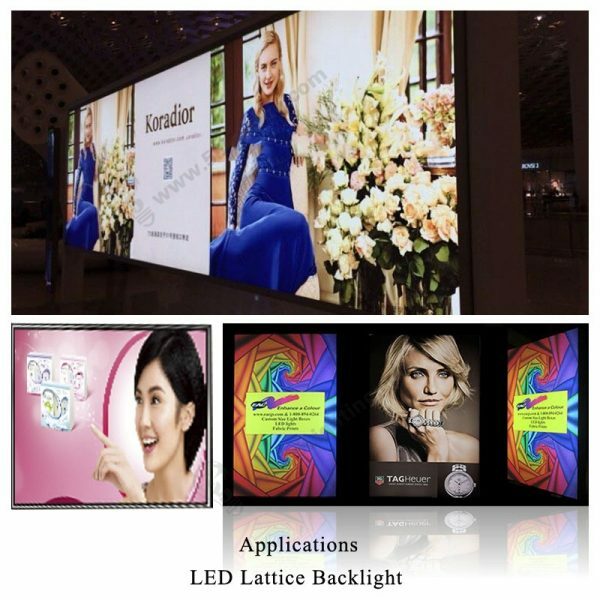 LED lattice backlight, LED backlighting and backlit modules for Single-side light boxes. 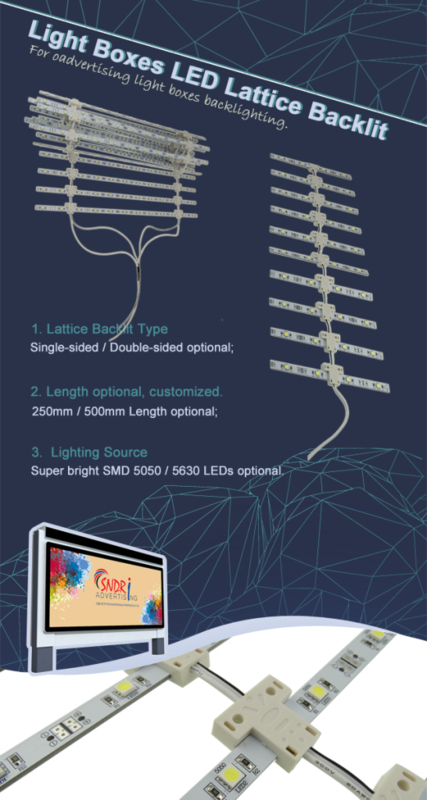 Great quality LED Lattice Backlits enjoy great popularity in worldwide market! b): Our LED backlighting for light boxes perfectly suitable for advertising light box’ thickness in the range of 6cm-20cm, according to light box’s thickness, clients can customized different module space. e): Cool white 8000K lighting temperature, other requirements of lighting color customized also available.